Almost done, just one more page to go! If you are a fledgling business it can be hard to find a financial services provider that will offer you any lending facilities to help you build and grow your business, or raise capital to bridge a gap in funding. There are several financial providers that will offer new businesses the opportunity they need through their loan services. We have looked at each of these providers to see what they are offering new businesses. The table below gives a quick comparison of the top UK business loan providers. Some of the features and benefits of iwoca’s business loan available to start-ups and new businesses. iwoca is a European financial lending provider who offers flexible credit solutions to small businesses. They specialise in supporting small businesses as they believe they don’t get the opportunities that larger businesses do. They assess businesses for loans through the use of technology to calculate the risk and not just use credit scores. iwoca’s business loans are supported by the European Investment Fund’s Loan Guarantee Facility. They offer loans from £1,000 to £200,000 but start-up businesses are typically offered loans of £1,000 to £10,000. Loan repayment terms range up to 12 months. iwoca make their loan decisions fast and funds are deposited quickly. As the loan is based on each day you have the loan, you only pay interest on the loan for the days you have the money. Some of the features and benefits of HSBC’s business loan available to start-ups and new businesses. HSBC is a leading international banking provider that offers a wide range of services to individuals, and businesses. They specialise in services to small businesses who they offer additional support to help nurture them and assist their growth. HSBC’s small business services are available to new start-up businesses which include their business loans. HSBC offers two loans to small businesses – Small Business Loan and Flexible Business Loan. The Small Business Loan is a fixed payment loan for £1,000-25,000 with the option to defer payment for the first three months. The Flexible Business Loans can be a fixed or variable rate loan for over £25,000, it can offer up to 24 months interest only and you may be able to defer up to two monthly payments each year. Some of the features and benefits of Lloyd’s business loan available to start-ups and new businesses. 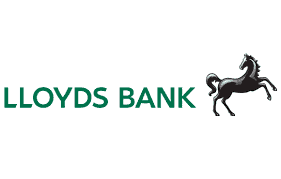 Lloyds Bank is an established banking and financial services provider that offer many lending products to a variety of businesses which include loans, overdrafts, asset-based lending and invoice finance. They provide lending solutions to small to large businesses which includes new business start-ups. Lloyds Bank has two loans that are available to smaller businesses including new businesses, these are the Base Rate Loan and the Fixed Rate Loan. The Base Rate Loan lends between £1,000 and £50,000 for up 10 years repayment terms on a variable rate basis that tracks the Bank of England base rate. The Fixed Rate Loan offers the same loan values and repayment terms but on a fixed rate basis. Some of the features and benefits of Yorkshire Bank’s business loan available to start-ups and new businesses. Yorkshire Bank is a long-standing UK banking business that is part of the Clydesdale Bank group. They have supported businesses to grow and develop for a long time through their lending products that include a range of loan options, credit cards and overdrafts. Yorkshire Bank’s loan products are generally not available to new businesses that are under 12 months old, but they do offer the government’s Enterprise Finance Guarantee that enables new and fledgling businesses to borrow money without needing the security that is normally needed. Through this government scheme businesses with a turnover up to £41 million can borrow between £25,001 and £1.2 million over 1 to 10 years. Some of the features and benefits of Clydesdale Bank’s business loan available to start-ups and new businesses. 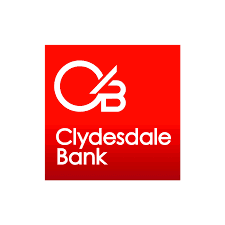 Clydesdale Bank is a Scotland bank that is part of a group that also owns Yorkshire Bank. They only operate in Scotland where they have an extensive branch network. Clydesdale Bank has a range of lending services for businesses which include loans, credit cards and overdrafts. They do not offer most of their loans to new business start-ups, but they do offer the government’s Enterprise Finance Guarantee. This government scheme is designed to help businesses to grow and develop when they lack the security to get a loan the traditional way. Businesses from start-ups through to those who have a turnover up to £41 million may be eligible for the scheme and can borrow £25,001-£1.2 million over 1-10 years. Some of the features and benefits of Royal Bank of Scotland’s business loan available to start-ups and new businesses. Royal Bank of Scotland is a UK based banking services provider that is one of Scotland’s biggest banks which was founded in Edinburgh in 1727. They are part of a larger banking group which are collectively operated under the RBS name which includes Natwest and Ulster Bank. Royal Bank of Scotland provides a range of banking and lending solutions to new businesses which include bank accounts, loans, overdrafts, asset finance and commercial mortgages. Their Small Business Loan is designed with small businesses in mind and offers fixed-rate loans from £1,000 to 50,000 that can be repaid over 1 to 10 years. To be eligible you would need a Director to provide a personal guarantee for the loan. Some of the features and benefits of ClearFunder’s business loan available to start-ups and new businesses. ClearFunder is a small loan provider who specialises in helping small to medium-sized business to obtain the funding they require to help them grow and develop. ClearFunder was established to provide a solution for small businesses and as an alternative option to traditional banks when it comes to loan providers. ClearFunder offers its business loans to all businesses in most industries and says that they will consider all circumstances in their applications. Their loans range from £10,000 to £100,000 which have flexible terms that they tailor to their customer’s needs. They have kept their loans simple with terms that are easy to understand and dedicated support. Some of the features and benefits of Cubefunder’s business loan available to start-ups and new businesses. 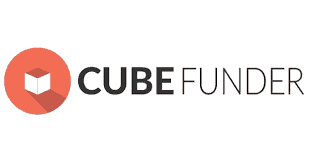 Cubefunder is a small financial services provider who offers loans to small to medium-sized businesses. They say that they understand their customers better than other providers as they are an SME themselves and they appreciate that all businesses need help at times. Cubefunder offers loans to businesses with a variety of circumstances and they say that they will consider all circumstances. They tailor their loans to their customer’s needs and offer loans between £5,000 and £100,000 on flexible terms. They offer a pre-agreed loan rate which can be extended, and they don’t charge fees for late payments as standard or early repayment fees. Some of the features and benefits of Fleximize’s business loan available to start-ups and new businesses. Fleximise is a UK business lender that is web-based who were set up to challenge business funding providers. They developed a business that offers tailored, flexible funding options and listens to their customers’ needs. Fleximize offer an SME loan called the Flexible Payment Loan that is available to businesses who have been trading for over 6 months. It offers loans from £5,000 to £500,000 for periods up to 4 years which can be a secure or unsecured loan. The loan is flexible and offers minimal fees which include no early repayment fees, no charges for loan top-ups and offers repayment holidays. Some of the features and benefits of Start Up Loans’ business loan available to start-ups and new businesses. Start Up Loans is a scheme that has been established to support individuals that want to start or grow their business in the UK which is government-backed. They don’t just offer loans, they offer a wide range of support to help businesses. This includes 12 months free business mentoring from experienced business advisors, and access to resources such as templates and guides. Start Up Loans have a single loan product that offers loans up to £25,000 which can be repaid over one to five years. Their loans are simple, fair and transparent with one fixed interest rate fee of 6% for all customers, no arrangement fees, no early repayment fees, and support available to help you complete your application. 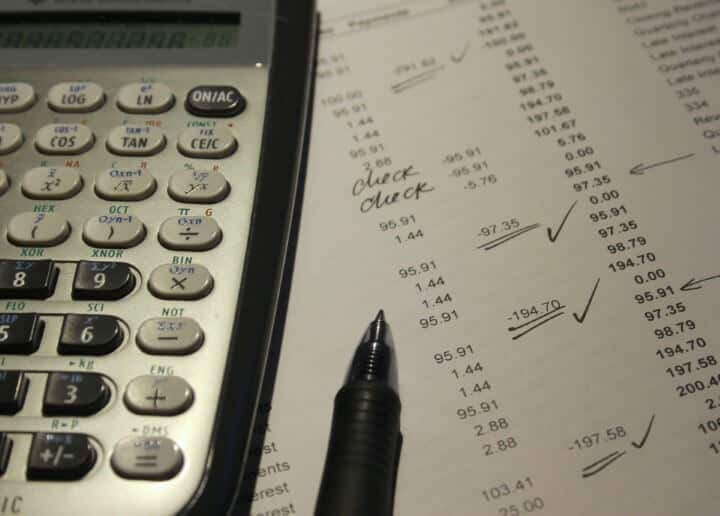 Financial Disclosure: We may be paid a fee if you get a loan with iwoca via the link above or if you get a quote via the form at the top of the page.